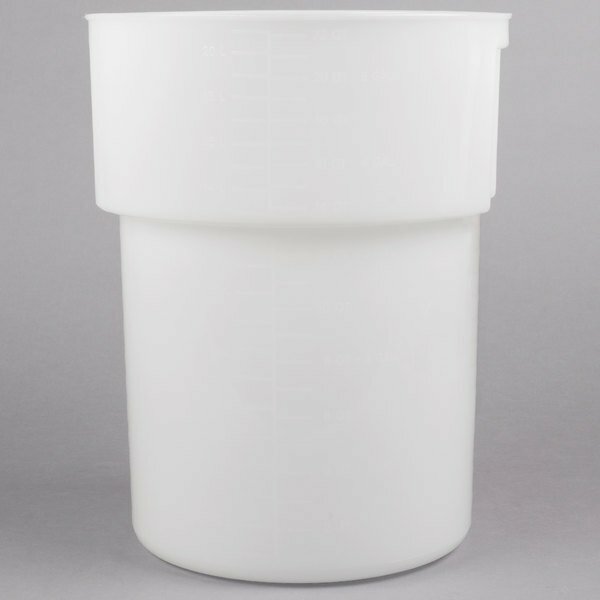 Do these white round food storage containers include graduated markings? The 2 qt., 3.5 qt., 4 qt., and 8 qt. 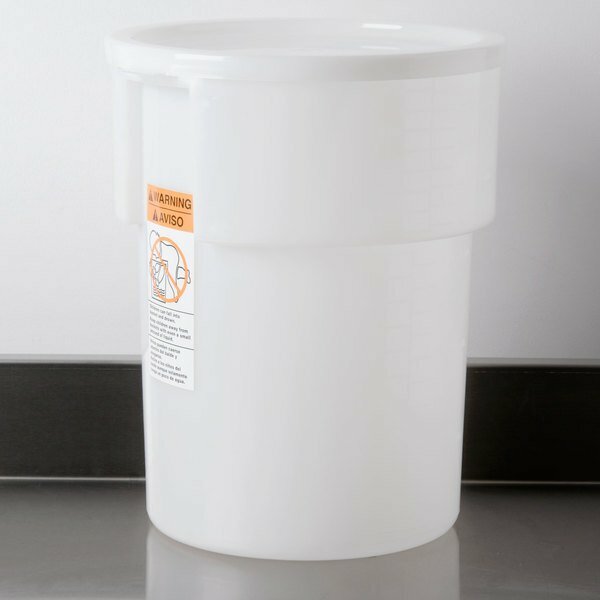 white round containers do not include graduated markings. All other sizes and styles do include graduated markings. This Carlisle 220002 22 qt. 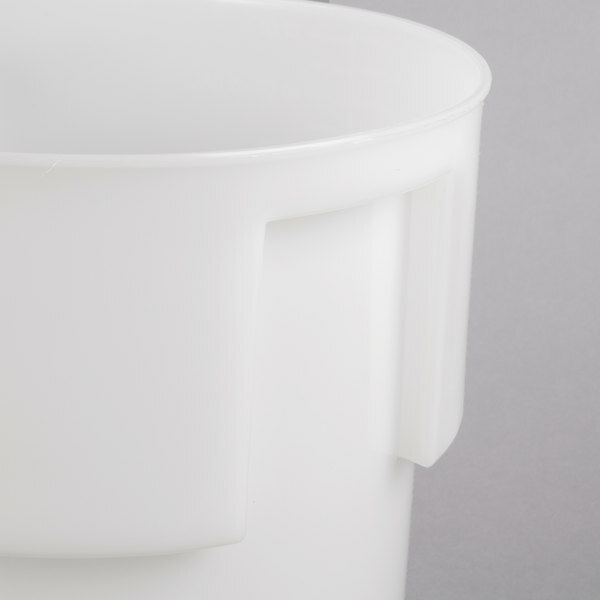 white round food storage container is perfect for storing anything from ingredients to fully prepared food! Its smooth interior means that food particles will not get stuck inside the container. 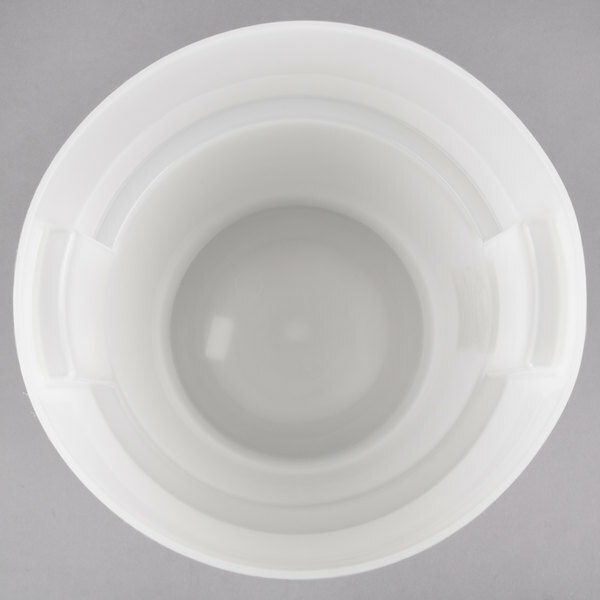 Along with the smooth interior, this container is also dishwasher safe for fast cleanup. The seamless construction of this container increases durability and the outside stacking lugs mean it won't get jammed inside other containers. Molded-in handles make it easy to lift even when full of food! 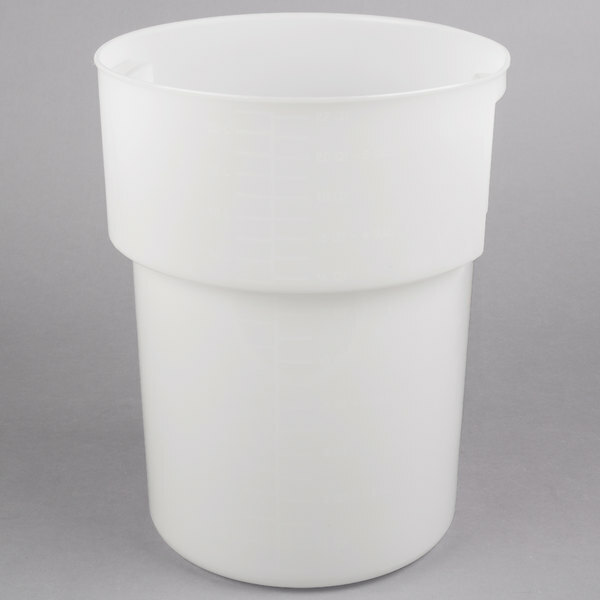 This polyethylene container can withstand temperatures from -40 degrees Fahrenheit to 180 degrees Fahrenheit, making it great for use in refrigerators and freezers! 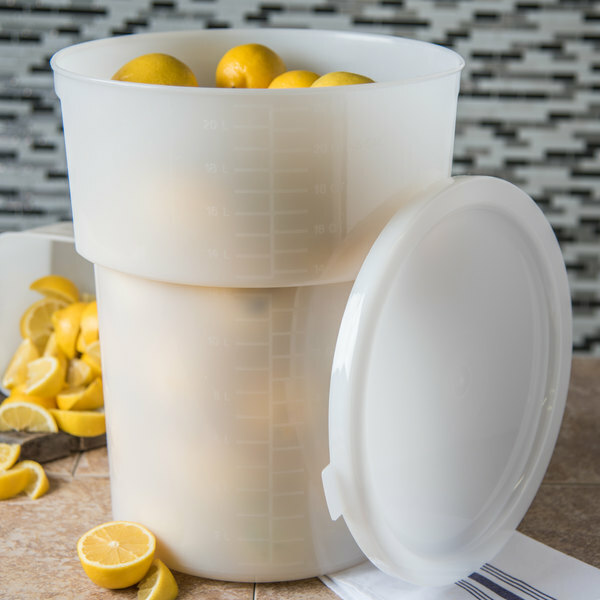 For storage, attach the lid (sold separately) to keep your ingredients, food, or liquids fresh and ready to use. Pretty good container. We store our raised and slightly flattened pizza doughs in these food storage containers. My only issue, the lids are terrible to get on and off. Very large container for a low price. Great for lighter ingredients like flour and powdered sugar. It holds over five gallons of pizza sauce but it gets heavy and this product is a little flimsy. I have been using these for 3 years now, and they still work great! Everything is sturdy, lasts a long time, and holds a lot. A great durable food container, we use these containers to measure out our green coffee that we are going to roast. Good strong handles that withhold up to us lifting over our shoulder to put into the roaster. This container is PERFECT for what we needed. It allows us to fit some of our bulk ingredients that can sometimes be heavy. No fear - this container has great handles to help lift heavier loads. Heavy duty - Will buy more! We use this exceptionally large bucket for dog food. It is just too perfect. 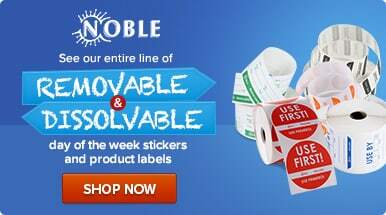 It seals tight to avoid pests and maintain freshness. You can easily gauge how much you have left to avoid running out on accident. These buckets are perfect for holding 25 pound bags of cocoa powder, flour and sugar. They are very heavy duty and have a nice wide mouth for scooping ingredients out. I use this container for holding the contents of 25 lb bags of grains and starches in my bakery. They are strong and easy to clean and store. Very sturdy, strong and effective. These containers are durable andf easy to clean They are used daily for syoringg food itemsx and they are really standing up tyo all of the usage. Great food containers , we use them for sauces , salt and sugar and we love them easy to clean and look nice and the price is unbeatable . We use this round food storage container at our coffee and tea shop for storing iced drink like tea and coffee. It is very sturdy and good value. I bought these to store dry doog food. I wanted a container that would be food-grade. These are perfect, they keep the food fresh and it is easy to scoop from them. I have different foods for my 2 dogs, these are also great because they are stackable. We love using these bins to store all our frostings and food. They came well packaged and exactly what we expected. We use these to store our flours, holds 25lbs. I bought his container to brine 18-20# turkeys for Thanksgiving. Works out great. Perfect size for the turkey, brine, and ice to keep it chilled. It is a taller bucket, so storage space will depend on if you're a home cook or a restaurant/place with a walk in cooler. Good stuff here and similar to the 18 qt that I use only bigger. Also has markings for measurements that comes in handy. 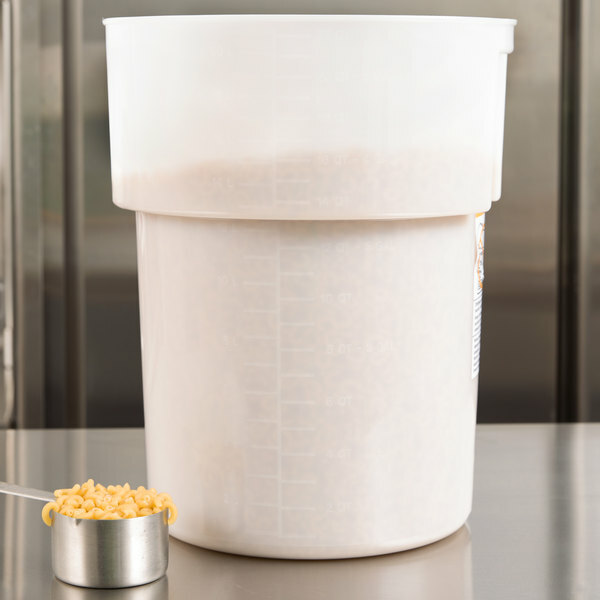 I had to order these larger buckets for storing larger bulks of chicken in the freezer. The smaller ones were perfect but since the business continues to grow.